Vox reports, “China has deliberately targeted big US agricultural exports like soybeans that come from states in the heart of Trump country, where neither the president nor his party want to see economic instability or job losses right before the 2018 midterm elections.” So basically China is attempting to both retaliate and also discredit a “protectionist” Republican president among his staunchest supporters. The latter goal is one that Trump is less likely to achieve when imposing his tariffs on a country where the president is selected by the Communist Party, not by popular vote, thus creating an obvious advantage for the Chinese against Trump if China’s version of tariffs manage to hurt US exports, and as a result hurt US manufacturers. Will tariffs on China make America great again? Trump had promised his popular base that he would “make America great again” by supporting American manufacturers, but he never substantially explained how he would manage to achieve this lofty goal in a country where the “Made in China” tag is so prevalent that if one sees another country on a label, she might once again turn around to make sure. Almost one and a half years into his presidency, it seems imposing tariffs are his solution to the demise of American production. But tariffs have been historically a double edged sword and while they might limit buying foreign products they almost immediately draw the ire of the countries which the tariffs are imposed on, effectively suffocating exports because of the retaliatory measures. So in a nutshell, you don’t gain much in trade wars, at least never in the past. And unless the protectionist businessman-turned president has some magical panacea, the recent tariffs of his administration will be no exception. As the Smoot-Hawley Tariff Act of 1930 illustrates, tariffs not only hurt US exports but destroyed global trade. World trade decreased by some 66 percent between 1929 and 1934 while the Act was in place. So basically as a consequence of trade wars, all players in the international economic system tend to incur substantial losses as overall trade plummets and prices increase. So if there is no guarantee that the Trump imposed tariffs will make America great again, there are fewer guarantees that they would not be detrimental to the US. Actually one could both historically and theoretically argue that the possibility that the Trump tariffs would actually cause more injury to US manufacturing is much higher than the tariffs committing to production growth. In the case of China, if Trump imposes tariffs on all the $500 billion of goods he claims, that would represent the lion’s share of all of China’s exports to the US. This basically means inflation rates in the US would spike. For instance prices for washing machines have increased by 16 percent in recent months, and this is only the beginning of a long trade fight. And to Trump’s relief, exports account for only 12 percent of US GDP (Compare this with Canada’s 31 percent of GDP) where a country with 320 million makes an isolationist economic policy a more viable option for Trump who views countries like China as national security threats. So both set of economic arguments, for or against Trump’s new trade policy, have some credit to claim. Those opposed point to historical precedent, theoretical inconsistency, rising inflation and lower levels of exports as arguments against Trump’s tariffs. Those in favor of Trump’s tariffs point to US trade imbalance, relatively lower levels of exports and increased national security to justify the new policy. Indeed it is too soon to conclude how the trade war with China might conclude. One factor is whether China could rally other countries to support Beijing against the US. 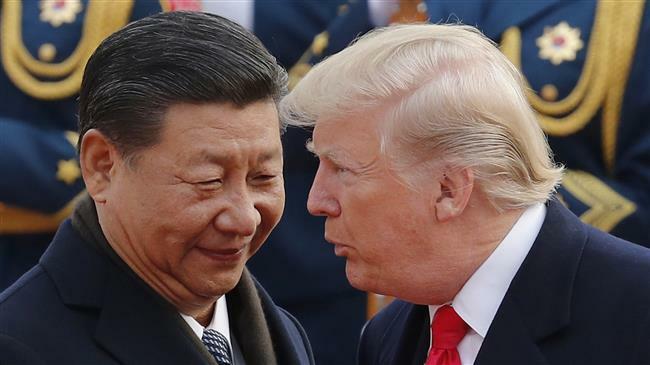 Again, it is too soon to see whether disgruntled traditional US allies such as the EU, Canada, Mexico and other countries that have also been hit by the Trump tariffs would support Beijing over Washington. For now this seems far-fetched, but if Trump prevails over his Democrat opponents and pro-trade mainstream Republican rivals, then, as Paul Haavardsrud puts it: “the international community will be left to reinvent a global trade order that’s not anchored by the US.” In the long term, this new global order would definitely translate to a US with less influence in the new world order. Couple the new Trump tariffs with statements from him that threaten to withdraw from the WTO, pull out of NAFTA and other international organizations and accords and then you can see, if pursued, Trump’s policies will structure new international alliances where the US is not necessarily the dominant player and where others like China and Russia are ready to lead.